Pedodontics or pediatric dentistry is the branch of dentistry specialized in treating children from birth through adolescence. Pediatric dentists help children learn how to prevent dental problems by teaching them from an early age the importance of dental health. Pediatric dentistry can be combined with orthodontics during adolescence to help the teenager correct the positioning and appearance of his or her teeth. Because pedodontics can be a highly specialized field of care for children, our dentists are specialized in working with children and helping them overcome any existing fears. It is never too early to bring your child to the dentist. Teething usually starts when the baby is around six or eight months old and can last until your child is three years old. Our dentists can help you from an early age, beginning with advice and treatment for teething pain and gum sores. We can also help with preventive dental care and habit counseling: if and how thumb sucking or a pacifier can affect the child’s teeth. Children can suffer from tooth decay especially if they are not accustomed to cleaning their teeth regularly starting at an early age. 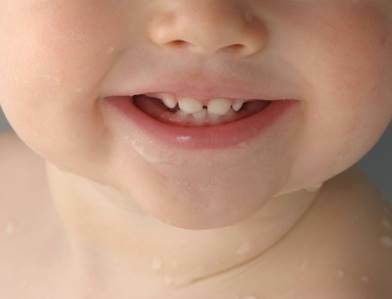 Certain foods, like sweets, can also affect the health of baby teeth. If your child has developed tooth cavities, our dentists can start an early treatment and help the child understand the importance of prevention. One of the most important treatments our pediatric dentists specialize in is orthodontics. Our dentists in Bucharest can make an early assessment and treatment for straightening and, if necessary, correcting an improper bite or any unaesthetic tooth placements. Wearing braces can be an important change for a child and especially for an adolescent, but our dentists use the newest materials and techniques in orthodontics. Your teenager can rest assured: braces can be cool. Pediatric dentistry also includes dental injuries like fractured, displaced or knocked-out teeth and, for serious cases, our dental specialists can also perform oral surgery. Our pediatric dentists will make sure that your child receives the best possible treatment and that he or she will feel comfortable during any dental procedure. If you want to schedule a dental examination for your child, you can contact our dentists in Bucharest. For dental travel in Romania, our staff can help you plan your trip and visit the most beautiful places.